SQUAMISH – Local businesses may be receiving more search engine glory with online marketing agency Marwick Marketing’s expansion to Squamish this coming summer. The second branch will be officially open August 1st and it will be the first Google Partner Agency in the Sea-to-Sky region. Squamish is a growing community that embraces smart and sustainable development. New businesses continue to emerge everyday as the population increase climbs monthly. With most of these shops and companies being independently run, it’s not an easy task stacking up to the corporations in the online world. Multi billion dollar Internet juggernauts such as Google have had enormous success merging with other brands. The addition of a Google Partner Agency could give business owners a lead in marketing and internet marketing, while working with a local company. There are hundreds of online marketing companies throughout Canada that offer different services, such as content marketing, social media marketing, video marketing, E-mail marketing and website design. 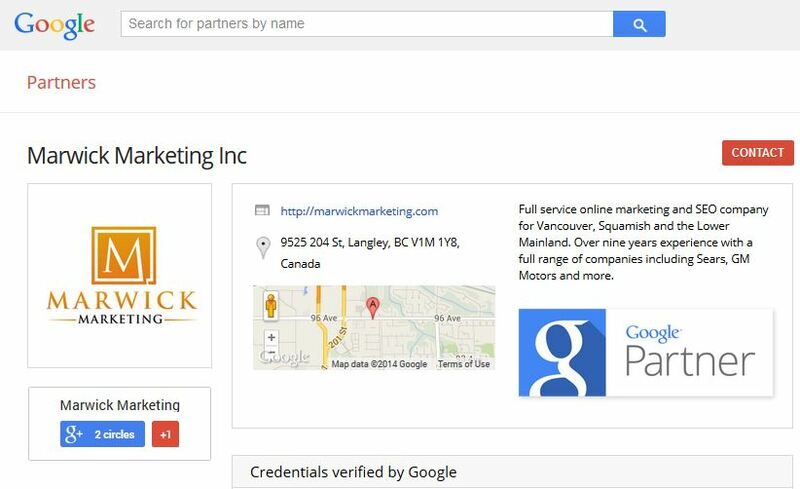 Marwick Marketing is one of the few Internet marketing agencies in Canada that is accredited to Google under the Google Partner Agency scheme. Google describes the accreditation as: “The badge recognizes companies that excel with Google’s products. Their businesses are healthy, their customers are happy, and they use Google best practices.” Having one of the richest brands on earth as a partner is always a benefit. With the $22-million Sea to Sky Gondola project a week away from it’s grand opening and an estimated 200,000 visitors to arrive in it’s first year of operation, the flock of tourists means big potential in revenue for local Squamish businesses. A step ahead online could be the difference between a financially successful year and a struggling service. Marwick Marketing – Squamish Marketing Agency. ← Why Should You Link Your Google+ Page To Your Website?